WE'LL TAKE YOUR TRADE, EVEN IF YOU OWE MONEY ON IT! OUR PRICES INCLUDE A 6 MONTH/6000 MILE PLATINUM DRIVETRAIN WARRANTY! Call us at 910-455-3883 today to schedule your test drive! All prices, discounts, and other special offers are subject to change. Tax, title, registration, dealer documentation and title preparation fees are extra. Dealer doc and title preparation fees: $249. Service and parts prices, discounts, savings and other special offers are plus tax and shop supplies where applicable. MPG is based on EPA mileage estimates. New vehicle MPG is based on the EPA mileage estimates for the model year of that vehicle, reflecting new EPA fuel economy methods beginning with 2008 models. Use for comparison purposes only. Do not compare to models before 2008. Your actual mileage will vary depending on how you drive and maintain your vehicle. Vehicle equipment listed may be incomplete. Not responsible for typographical or unintentional errors. Some information and pricing may be unintentionally missing or inaccurate. We will make every attempt to correct such discrepancies promptly upon notification of such errors or omissions however pricing discrepancies and other errors are considered invalid and may or may not be honored at our sole discretion. Payment calculator is a tool for estimating, not for determining exact finance amounts. Actual odometer reading may vary due to test drives and other miles driven since vehicle was listed. Vehicles are subject to prior sale. Inventory listed is updated frequently however some vehicles may no longer be available for sale. All prices, discounts, and other special offers are subject to change. Tax, title, registration, dealer documentation and title preparation fees are extra. Dealer doc and title preparation fees: $249. Service and parts prices, discounts, savings and other special offers are plus tax and shop supplies where applicable. MPG is based on EPA mileage estimates. New vehicle MPG is based on the EPA mileage estimates for the model year of that vehicle, reflecting new EPA fuel economy methods beginning with 2008 models. Use for comparison purposes only. Do not compare to models before 2008. Your actual mileage will vary depending on how you drive and maintain your vehicle. Vehicle equipment listed may be incomplete. Not responsible for typographical or unintentional errors. Some information and pricing may be unintentionally missing or inaccurate. We will make every attempt to correct such discrepancies promptly upon notification of such errors or omissions however pricing discrepancies and other errors are considered invalid and may or may not be honored at our sole discretion. Payment calculator is a tool for estimating, not for determining exact finance amounts. Actual odometer reading may vary due to test drives and other miles driven since vehicle was listed. Vehicles are subject to prior sale. Inventory listed is updated frequently however some vehicles may no longer be available for sale. Message: Thought you might be interested in this 2015 GMC Acadia. The vehicles here are not the typical lemon lot vehicles! these cars and trucks are well maintained and are maintained well while on the lot! 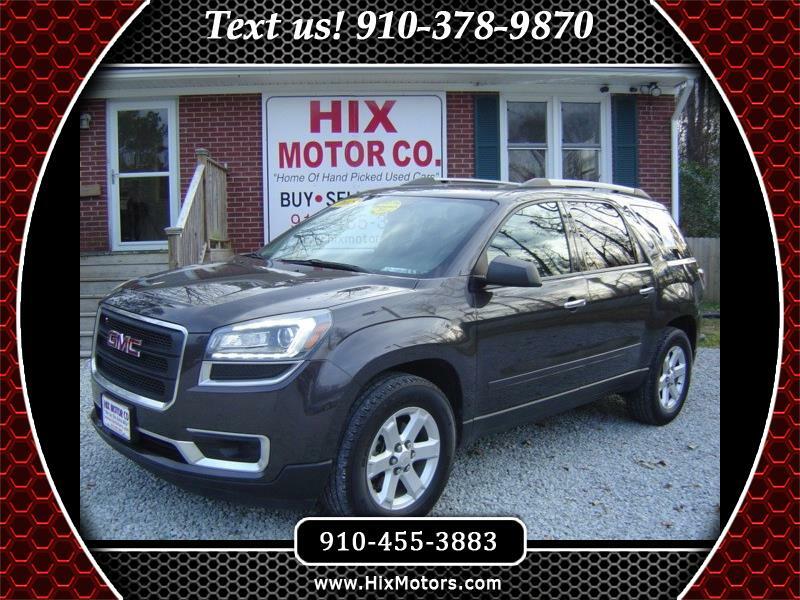 Hix motors salesman John and owner Steve Hix go out of their way to not only assist you in securing a great vehicle at a fair if not great price, they go out of their way to accept your trade in. The staff are all super friendly and down to earth! It was easy, fast and pleasant working with them and I look forward to working with them again in the future! Hix Motors does it right from start to finish. I requested photos of the underside of a vehicle I was interested in and received prompt, courteous replies within an hour with multiple detailed photos. I was greeted by John when I arrived on the lot, and he was personally preparing the vehicle I had shown interest in and had it ready for a test drive right when I got there. He was very upfront about the vehicle's history and pricing. All of the vehicles on the lot seemed to be carefully selected. 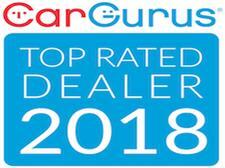 If you're looking for quality service, and a quality vehicle...this is your place. They went above and beyond to make our car buying experience enjoyable. Superb customer service and friendly people. Would definitely recommend you come to Hix before going anywhere else. This is the ONLY place I will purchase a vehicle. 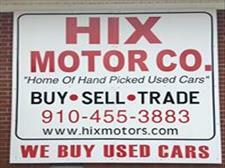 I recently purchased my second car from Hix Motor and yet again, I have not been disappointed. They have been amazing through every question or concern I may have had! I HIGHLY RECOMMEND everyone to come here and purchase a vehicle from this company!!! All of the cars we tested and looked at were clean and running very well. The prices were reasonable and the dealers were straight forward and helpful. Loved the atmosphere and would definitely recommend! Recommend them highly. They make sure you are satisfied and your car is in perfect condition. One of my best experience with a car dealership. Just bought what amounts to my dream truck from these guys and they are amazing to work with. ... This is hands down the best dealership I have ever worked with. Highly recommend! Had a great experience! Such friendly and honest people! Definitely going back when it's time for my next car! I have bought two cars from Hix and each time I experienced a fair and honest buying. My parents drove all they way from Chicago just to buy from Hix. No better place in Jacksonville!!!!!! !